I used to dislike carrot cake intensely. I simply couldn’t see the point of it. Why use up all those calories on something that makes a pathetic attempt to appear vaguely healthy, when you could use them on some perfectly decadent chocolate-y goodness instead? 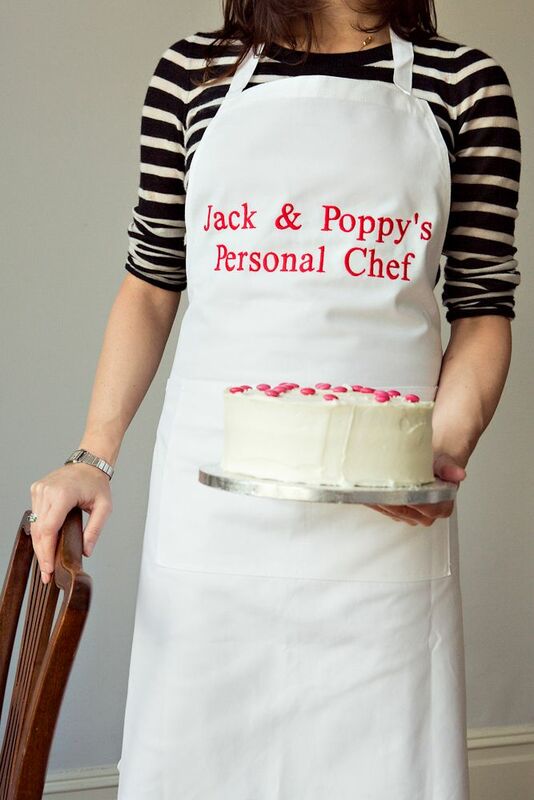 I held fast to this opinion for a very long time, until my dear, dear friend Sara asked me to bake a carrot cake for her birthday a few years ago, and I took a slice – largely to check that I hadn’t done something stupid like use salt instead of sugar. 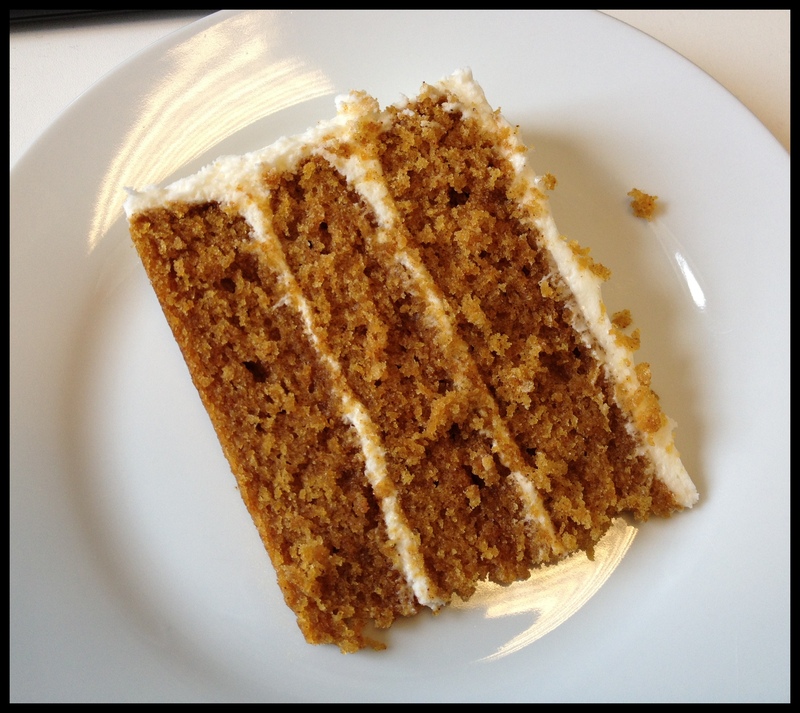 As it turns out, carrot cake is delicious, and it has since become one of my most popular cakes, converting many a carrot cake cynic along the way. Some may find it controversial that I omit walnuts from my carrot cake but I tend to avoid using nuts in all situations in which I don’t know each and every person for whom I am catering. One only need accidentally feed someone with a nut allergy pesto (which contains pine nuts) once to learn that particular lesson. She was fine, incidentally, but I shaved a good decade off my own life expectancy with that particular moment of idiocy. 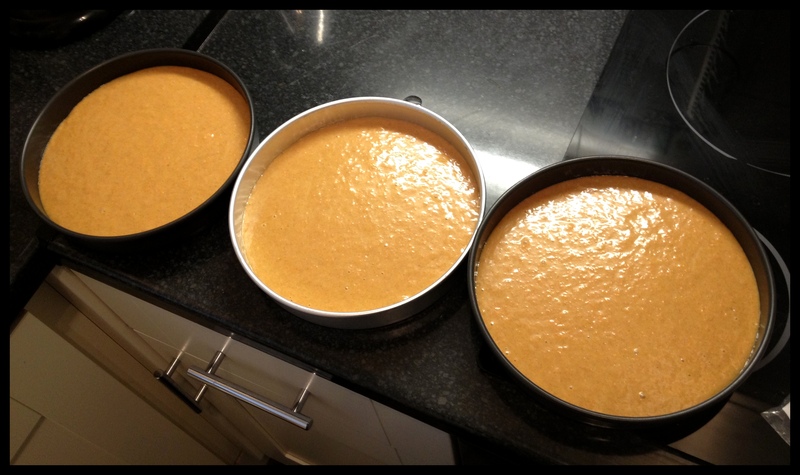 Preheat the oven to 170C and base-line three 20cm sandwich tins. Weigh out the dry ingredients (sugar in one bowl; everything else in another), and grate the carrot very finely in a third bowl. 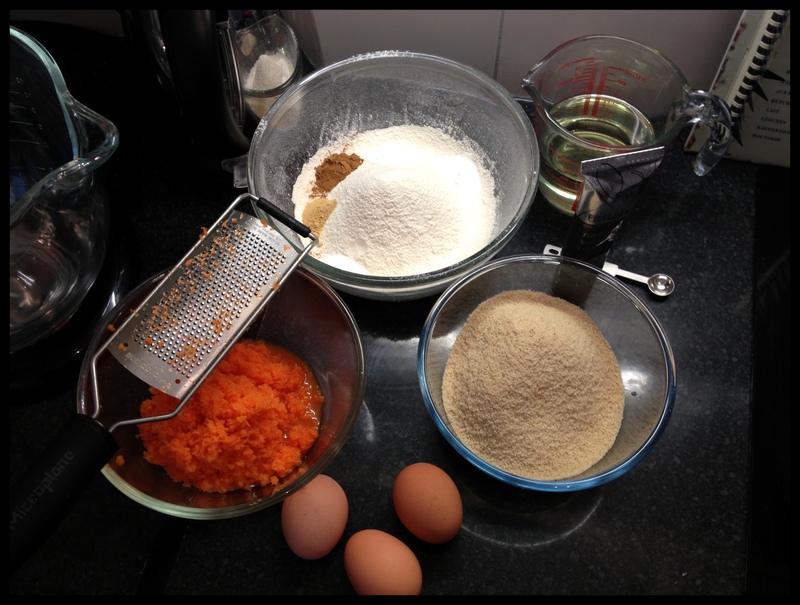 I use a Microplane fine grater so that the carrot is reduced almost to mush, and it melts into the texture of the cake. 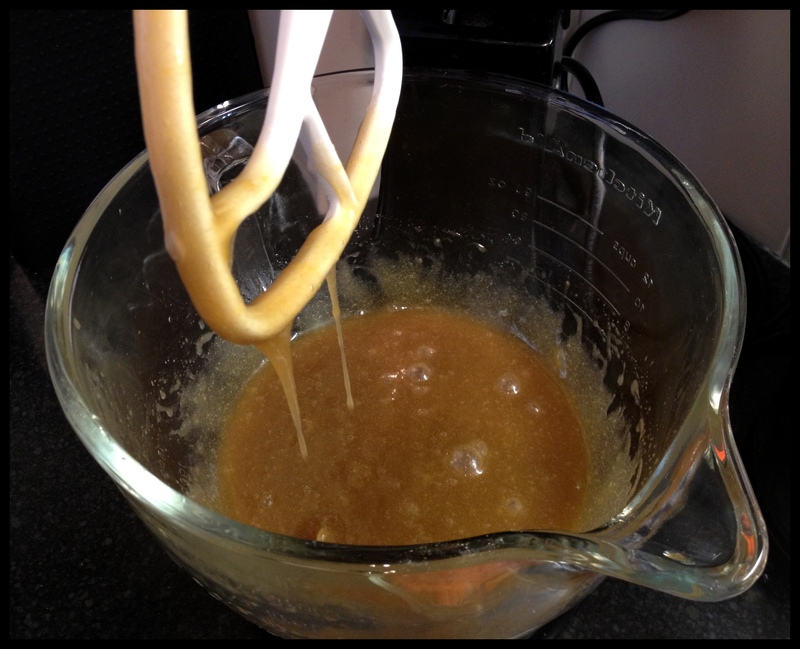 Throw the eggs, sugar and oil into the mixer and blitz it until it looks a bit like glue. Add the other dry ingredients in three batches, beating thoroughly after each addition. When everything is in, fold the carrot in thoroughly with a rubber spatula. The mixture will be much more fluid than most. 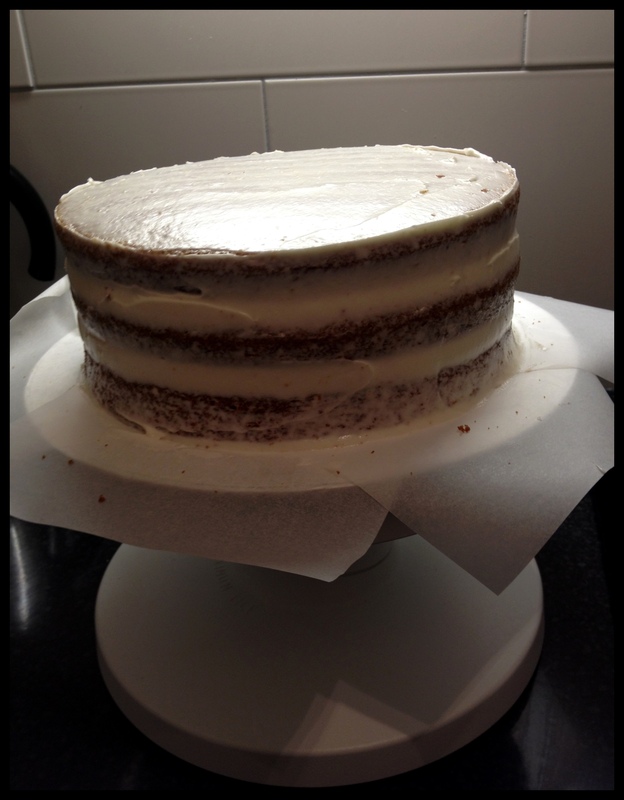 Pour into the three tins, and bake for 20-25 minutes, or until the sponge bounces back when touched. 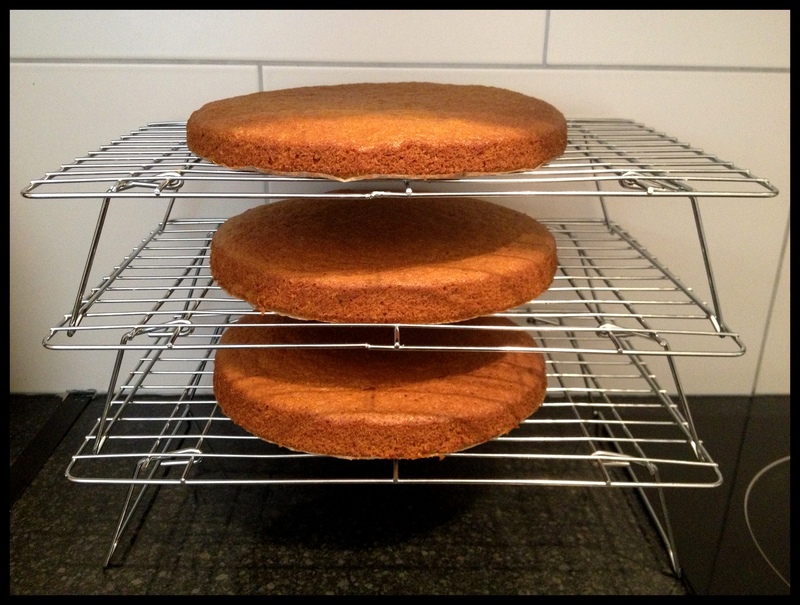 Leave the cakes in the tins to cool slightly before turning out on to a wire rack. When you’re ready to make the icing, put your icing sugar in the jug, and chuck in the butter in little blobs. Cover the top of the bowl with a tea towel before setting the mixer running on its slowest setting. Mix until it looks like the texture of sand / breadcrumbs. Throw all the cream cheese in at once, cover the bowl again and mix on slow until combined. 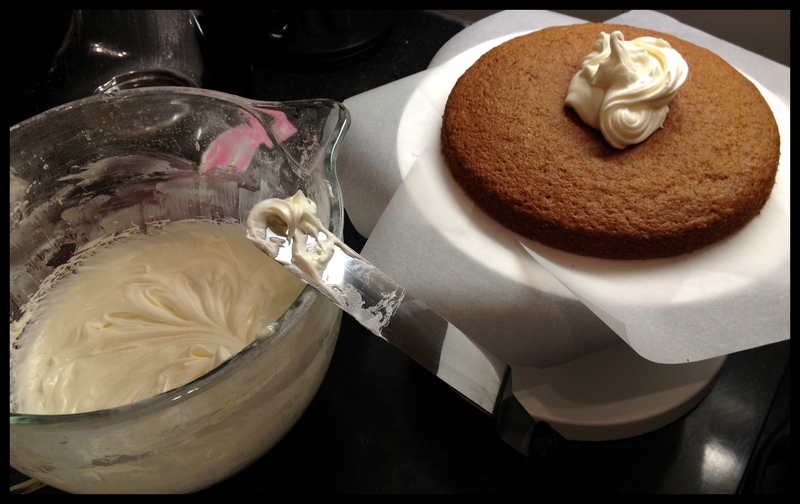 Then remove the towel and hike the speed up to medium-high for 3-5 minutes until the icing is lovely and fluffy. 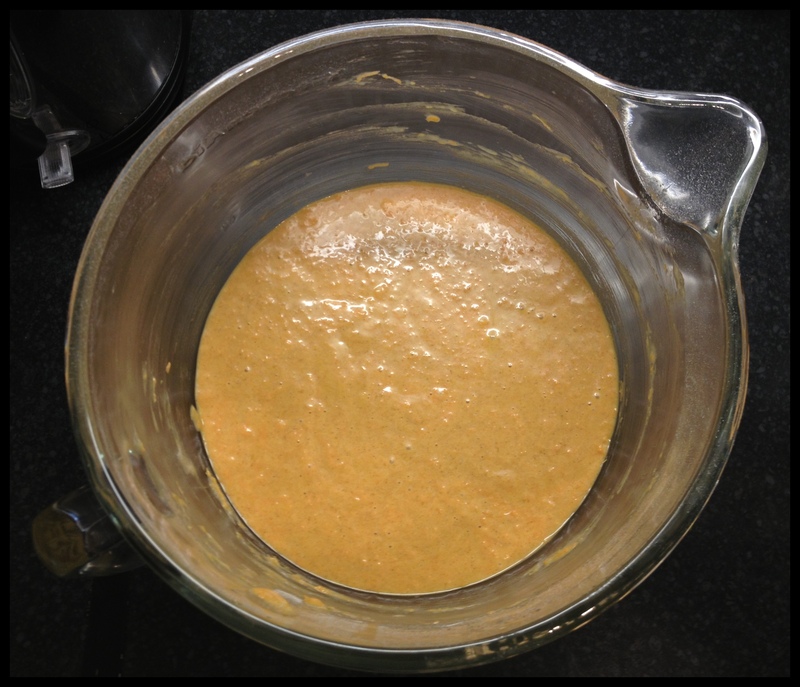 Watch and listen to it carefully, and be VERY careful not to over-mix it, as it will become sloppy. Before you start with the icing, I’d recommend cutting up about 6 pieces of baking paper and slotting them between the bottom sponge and the serving plate. This way, you can slop it about to your heart’s content and you won’t have to clean the plate when you’ve finished. 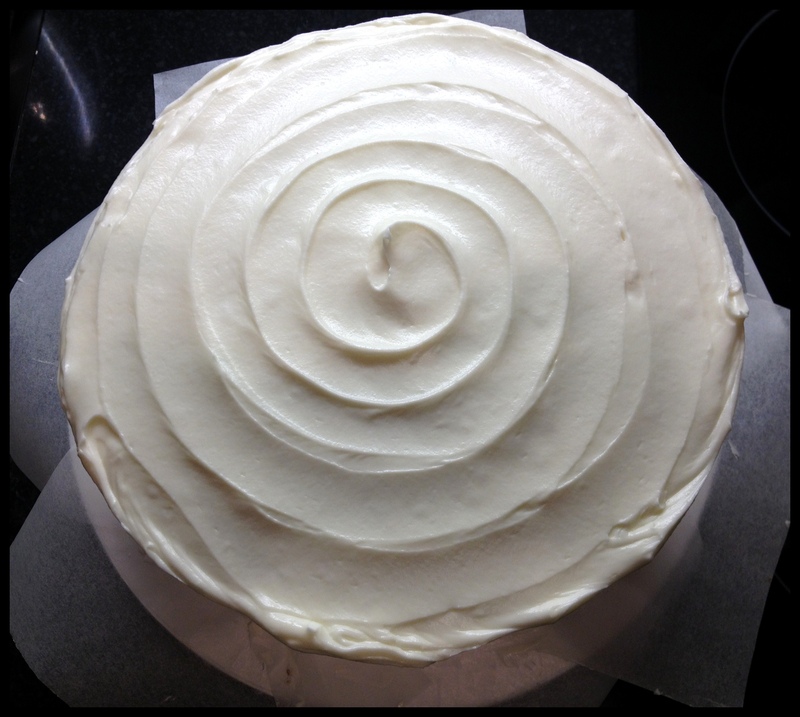 I’d also recommend doing a thin layer of icing over the whole cake and refrigerating it for 15 minutes or so before doing the final layer. 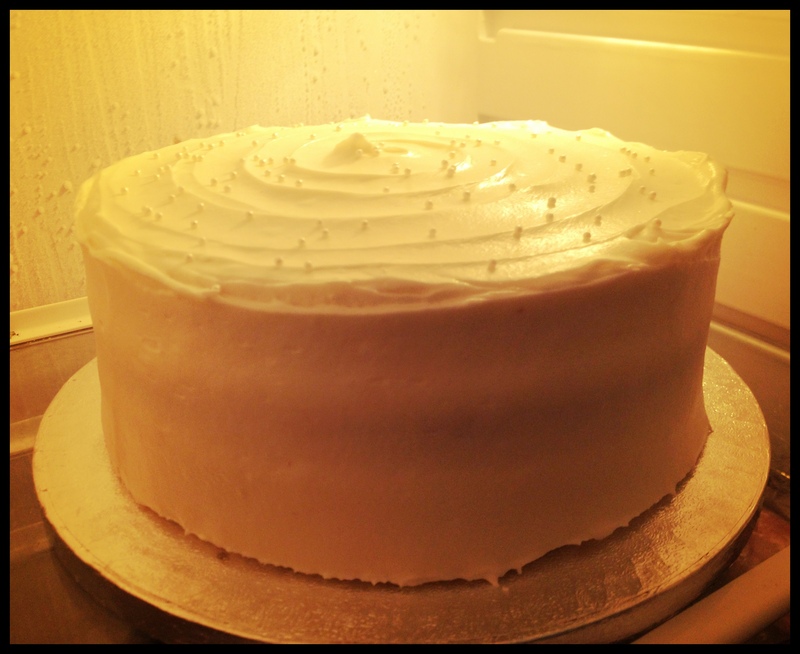 This way, you’re less likely to have sponge crumbs ruining the appearance of your silky icing. 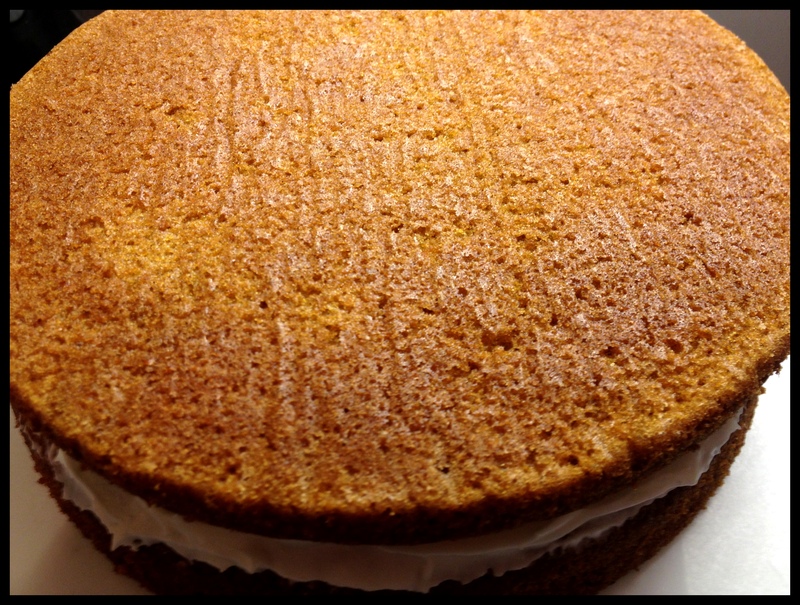 This cake was for a photo-shoot, so I hope to be able to half-inch a professional shot of a slice or something when the results come in – watch this space. 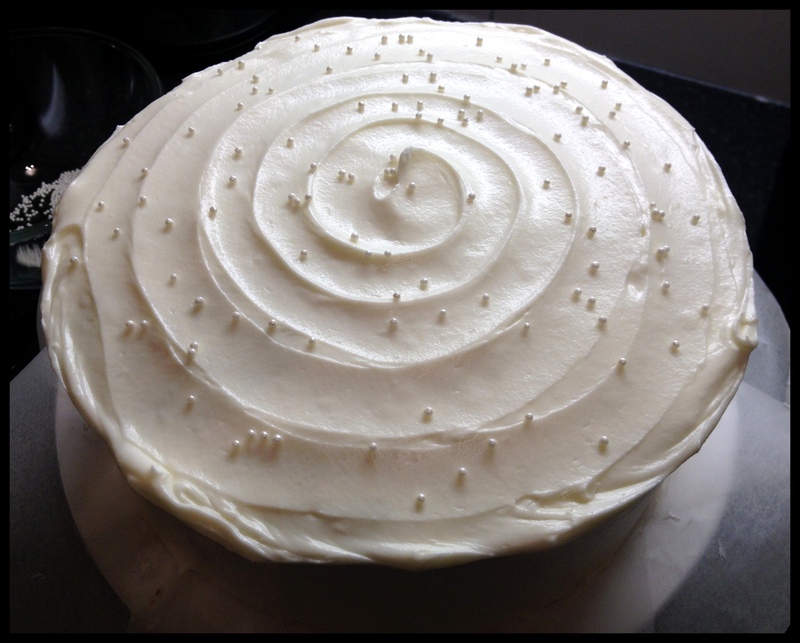 This entry was posted in Cooking & Baking and tagged carrot cake, cream cheese frosting, cream cheese icing, Microplane grater by wordspicturesandcake. Bookmark the permalink.